These are a benign malformations found on the outside portion of one or both the ears. Preauricular sinuses in women are commonly found outside the right ear. Preauricular sinuses are considered to be formed as a result of deformity occurring in the sixth week of fetus development. This defect may occur from the changes that occur during the gestation or it may occur based on the family history of the individual. Infections caused by the bacteria and the mucous build up can also be a cause for preauricular sinus. The preauricular sinus is asymptotic and does not cause any problems for the individual. Taking of antibiotics to destroy the bacteria causing this condition is the most popular and vary effective method of treatment practiced by many physicians. Draining will be necessary to control extra mucous build up if there is any abscess or boil. One method used for drainage is the use of a lacrimal probe to find out the sinus cavity and to clear the accumulated mucous. Surgical options are intended for persons who often have preauricular sinus infections. But due to the close proximity to facial nerves, surgery for preauricular sinus has to be done by an experienced and expert surgeon. In the standard surgical procedure the skin around the sinus is removed. After that the preauricular sinus is removed. In another procedure which is more radical a larger incision is made so that larger area can be explored. Along with the preauricular sinus some tissues around the sinus are also removed to make the surgery a success and to eliminate the possibility of recurrence. 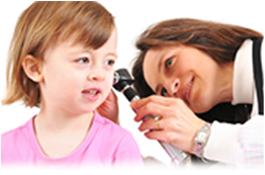 In preauricular sinus further investigation will be necessary if the child is having any other malformations. If the family has a history of deafness or renal malformation or if the mother of the child was having gestational diabetes, then a renal ultra sound check up will be beneficial to find out the underlying causes for the preauricular sinus.